SolSource reflectors provide unparalleled performance. Our innovations include light-weight, 3D formable, and self-healing, SolSource reflectors that survive sandstorms while maintaining their 92% energy efficiency. One Earth Designs holds multiple international and national patents protecting the materials, designs and function of our products. 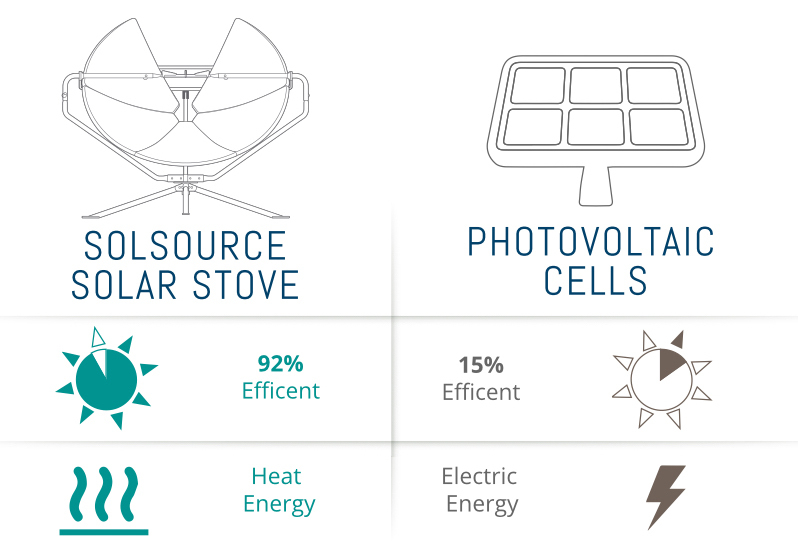 One Earth Designs collaborates with Harvard School of Public Health, Massachusetts Institute of Technology, and the Norwegian University of Science and Technology to bring you cutting edge solar-thermal technology in elegant, easy to use forms.